Thank you for stopping by the Girlfriends Book Club blog spot! We've changed our address and moved to our brand new website: GirlfriendsBookClub.org. Please come visit! We love our new high-tech website, where we have lots of cool features to share with readers, authors and passersby! There's always a new blog to read and you never know when we're hosting a giveaway! We hope you'll come by, see the sights and subscribe to our blog. Please feel free to drop us a note at the new Girlfriends Book Club and let us know what you think! Just click here to visit! I’m working on a new series of romance novels. I’ve got two books written so far. When book three is finished, I’ll publish all three at one time. My plan is to launch the series in October. But you know how it is: the best laid plans of mice and men often go awry. I am neither a mice nor a man. However, my plans for book three did go awry—and hooray for that! The series is called “The Magic Jukebox.” The premise: in the fictional town of Brogan’s Point, on Massachusetts’s North Shore, there’s a pub called the Faulk Street Tavern. Inside this pub is an antique jukebox. No one knows how it got there. No one knows how, or why, it works. Because it’s antique, it plays only songs that were released on vinyl, years ago—and no one is sure what songs it contains or how to select them. All people know is that if you slide a quarter into the coin slot, three songs will play. The tavern’s owner unlocks the coin box every now and then, collects the quarters, and donates them to charity. But she can’t open the machine to change the records. tavern patrons in a particular way, making them reconsider who they are and where they’re going—and causing them to fall in love. Each book in the series has its own hero and heroine, but Brogan’s Point is a small town, and characters from one book wander in and out of other books in the series. Among the continuing characters are Augusta “Gus” Naukonen, the tavern’s middle-aged, widowed owner, and her boyfriend, Ed Nolan, a widowed police detective on the Brogan’s Point police force. 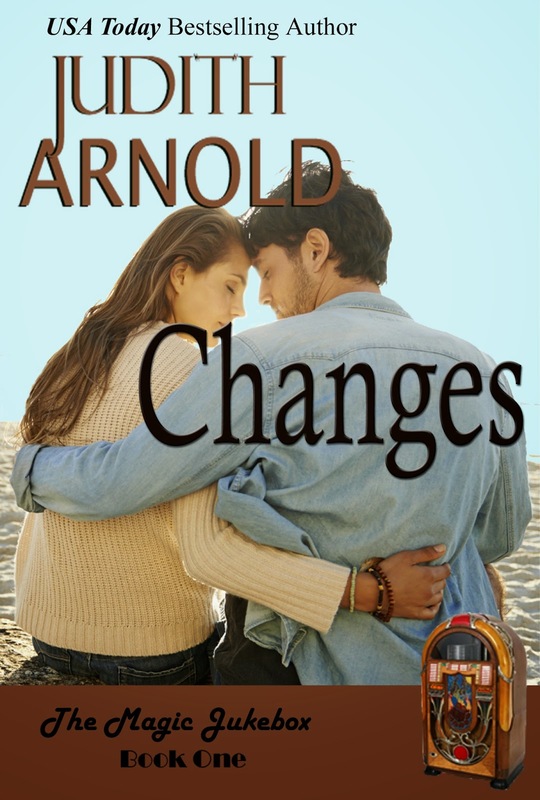 The first book of the series is based on the David Bowie song “Changes,” and in it I mention in passing that Ed Nolan is estranged from his daughter Maeve, who was traumatized as a teenager when her mother died and has lived in California for years, maintaining very little contact with her father. I sensed, as soon as I wrote those few sentences about Maeve, that she would return to Brogan’s Point to star as the heroine of the third book in the series. One brief allusion to her, and I’d fallen in love with her myself. I couldn’t wait to write a novel in which she reconciles with her father and finds the man of her dreams. In the meantime, I wrote the second book in the series, based on the Cyndi Lauper song “True Colors.” In that book, the heroine, Emma, comes to Brogan’s Point to share a house with her college roommate and best friend, Monica, a Brogan’s Point native who has returned to town after college to work in her family’s business. Monica is the prototypical best friend, there for Emma to confide in and cry with, there to refill Emma’s wine glass, there to celebrate Emma’s happily-ever-after ending with the novel’s hero. As soon as I finished True Colors, I began flexing my imagination in preparation for writing Maeve’s story. The only problem was, Monica was demanding a love story of her own. But that wasn’t the plan. The plan was: Book Three—Maeve’s story. I hadn’t yet decided on the Magic Jukebox song that would transform Maeve’s life: Supertramp’s “Take the Long Way Home,” maybe, or the Beatles’ “Long and Winding Road.” I played both songs repeatedly, trying to force my muse to focus on Maeve’s romance. Not the plan. Absolutely not the plan. But absolutely the right thing to do. Readers will get to know Monica a bit in True Colors, and—I hope!—they’ll like her enough to want to read her story and find out how this well-behaved young woman goes wild. Maeve will simply have to wait until I’m ready to write book four. So no, my plans didn’t exactly go awry. They changed. For the better, I think. Like Monica, my muse has gone a little wild—and I’m not foolish enough to fight her. Watch for the Magic Jukebox romances, which will be released in digital format this fall—if all goes according to plan! In the meantime, the original Daddy School trilogy is now available as audiobooks. Please visit Judith’s web site and her book store page for information about her currently available books.You can also sign up for her newsletter there. I used to be a die-hard panster. My first published novel came about after I had an encounter with a charismatic clerk in a dollar store. The three that followed had similar sketchy starts. I’d read a news story or overhear a conversation, and I’d plunge in without even the skimpiest of plans. The blind trust I had in the process was astounding. I was like Christopher Columbus searching for the New World without a single navigational tool. I proudly declared myself to be an organic writer. Looking back, it’s hard to figure out how I managed it. My first three novels were part of series so, after the first one, characters and setting were already in place. That made things easier. My fourth novel was a departure. All I had in my head was a half-baked pitch, “Bridget Jones Meets Lovely Bones,” and I was off. I cringe when I think of how many times I had to re-write that thing. Talk about your botched opportunities. I was a national bestselling author of five critically praised novels, and yet it seemed as if I still didn’t know what I was doing. I knew there had to be a better way. That’s when I decided to do some serious study on novel structure. A colleague suggested I read screenwriting books. I was initially resistant. What could I possibly learn from writers who specialize in car crashes, super heroes, and tired sequels? A whole lot, as it turns out. Screenwriters do not mess around; they have always worshipped at the structure shrine and borrow heavily from Joseph Campbell and Aristotle. With my spanking-new knowledge, I wrote another novel and five agents wanted to represent it. It will be published in September 2015. Now, before I write a single word of a novel, I use the techniques I learned to make sure the premise is solid. I end up abandoning oodles of ideas, but that’s a lot less painful than trashing an entire novel. Speaking of novels, remember the one I couldn’t fix? A few weeks ago I read it for the first time in years, hoping maybe it was salvageable. Wrong. It was still dog food. In fact, it was so structurally flawed it should have never been written. If I had conceived of it six months ago instead of six years ago, I would have known that. 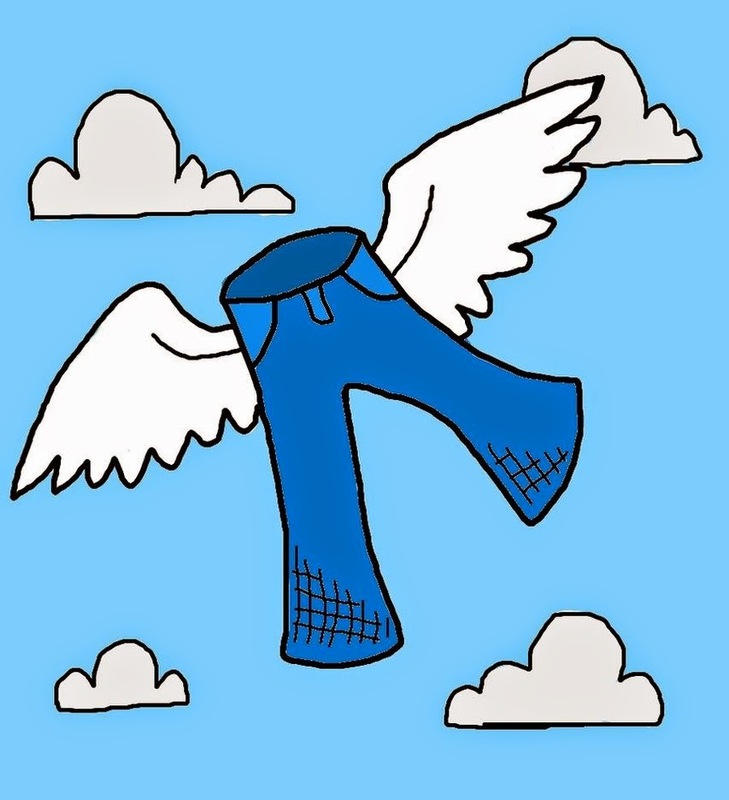 I learned my lesson the hard way; no more blind pantsing for me ever again. All in all, it cost me over five years of writing life. I can’t spare that kind of time. York. Harper Collins. 1997. Print. Snyder, Blake. Save the Cat! Studio City: Michael Wiese Productions. 2005. Print. Well...naturally, you make him your next HERO, of course. In Cowgirl Come Home, my hero's brother, Austen Zabrinski, shows up repeatedly. He's...um...difficult. He has attitude. Tell me if this sounds like a hero to you? She only had a vague recollection of Paul's older brother since he left for college before she and Paul started dating. But everybody in Marietta knew Austen. His name had been in the Courier every week since he was MVP in at least three sports. All the girls wanted to date him, although he never had a steady that Bailey could remember. He gave the class speech at graduation. She knew that for a fact because she'd been selected as one of the four freshman girls to pass out programs at the door. She'd listened closely because he had the audacity to buck the system, showing up with his longish hair artfully tousled, a movie-star goatee and bare ankles, hinting that he was wearing shorts under his gown. At the time, Bailey had been impressed. Now, not so much. She'd met more than her share of promoters, lawyers and wealthy stockmen over the years. And one thing she knew for certain was money did not automatically signify class. More nervous than she had been when she left the house, she walked slowly and deliberately, trying not to limp. Show no weakness. She couldn't remember if the adage applied to wild animals and lawyers, or just lawyers. Thank goodness I called in an order. She could pick it up and run. No need to bring up the ridiculous idea of going on a date. No harm, no foul. She went straight to the cash register, not looking right or left. "Bailey Jenkins. To-go," she told the young woman behind the till. The girl--about sixteen working her first summer job, Bailey guessed--spun about and dashed to the kitchen window, where a clothesline of white orders were strung. "Ironically appropriate, don't you agree? A To-Go order. Your modus operandi, no?" She turned, her purse clutched to her belly--bling side out, as if the glitter might magically ward off the attack she sensed coming. "I beg your pardon?" Austen had changed since the cocky kid at the school podium. More than the expensive suit and cover-model haircut, his style shouted, "Warning: rich, influential, angry man with agenda. Look out." He leaned in. Not so his words were kept between them. No. In fact, he spoke loudly, with succinct clarity so the entire jury of her peers could hear. "It's not my pardon you need to beg, Bailey. It's my brother's." I know. Right? A complete and utter jerk. So, what on earth would possess an author to pick such an unlikable character to make her next hero? I wish I could tell you. I honestly don't know. But I will say I found Austen intriguing. I wanted to know why he was so caustic, so judgmental. I loved his brother, Paul, so much I figured if Paul was so great surely there was some good, something redeemable in Austen. And I learned a long time ago, while working with my first editor, that sometimes you don't have any choice about who your characters choose to love. My third Harlequin Superromance is called Back In Kansas. This is a spin-off from a book titled His Daddy's Eyes. The hero, Bo, is a recovering alcoholic. And in the course of writing His Daddy's Eyes, he proved to be a very annoying character because he constantly wanted to be on center stage. I hate to admit this to non-writers, but there came a time when I said out loud, "If you want to be a hero, you can be a hero in the next book. Now, back off and be a good secondary character so I can finish this book." As strange as that sounds, he did. So, when I was working on my next proposal, I talked to my editor about who I thought would make a good heroine for Bo. She hesitated a moment and said, "But, obviously he's in love with Claudie." It was my turn to hesitate a moment or three. "But Claudie is a reformed prostitute," I reminded her. My editor replied, nonchalantly, "I'm sure our readers are evolved enough to know that not every character comes to a story with an unblemished past." The voice in my head is freaking out. "There's blemished and then there's prostitute!" To my editor, of course, I said, "Okay. Let's give that a try. " What came out of that collaboration was a story that scared me to death to write but connected powerfully with readers. And from that point on, I no longer was afraid of unredeemable characters. The fact is every one of us has our not-so-heroic moments. We're human. Maybe that's what makes the difficult ones--real and imagined--easy to relate to. Austen Zabrinski is very human. When we meet him in Cowgirl Come Home, he's going through an extremely tough time (off screen). He's at a crossroads in his life and he's questioning whether everything he's done to that point was for naught. We don't know any of this until he shows up on my new heroine's doorstep needing help. Luckily, as fate would have it, she is the perfect person to help him figure out exactly where he needs to be and who he really is. I love it when that happens. Don't you? Tell me, as a reader, do you like it when a character surprises you? Can you recall any characters that grew on you? I'll choose a random winner from all who reply to win a $10 gift certificate from Amazon, PLUS a free, digital copy of Cowgirl Come Home or the 12-author bundle Summer Escape. PS: the title of this blog made me think of Englebert Humperdink's 1985 hit Please Release Me. Here's the link in case you need a laugh. http://youtu.be/6S9ecXWCBCc I'm still giggling. 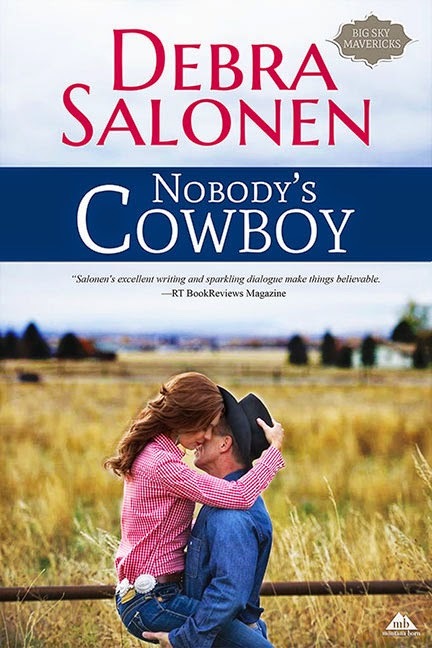 Nobody's Cowboy will be out August 29! From award-winning journalist to nationally bestselling author with 26 published novels for Harlequin's Superromance and American lines, Debra Salonen brings humor and heart to her stories. She was named Romantic Times Reviewer's Career Achievement "Series Storyteller of the Year" in 2006. Her popular Indie release, Are We There Yet, has been called "laugh-out-loud funny, poignant and just plain fabulous!" 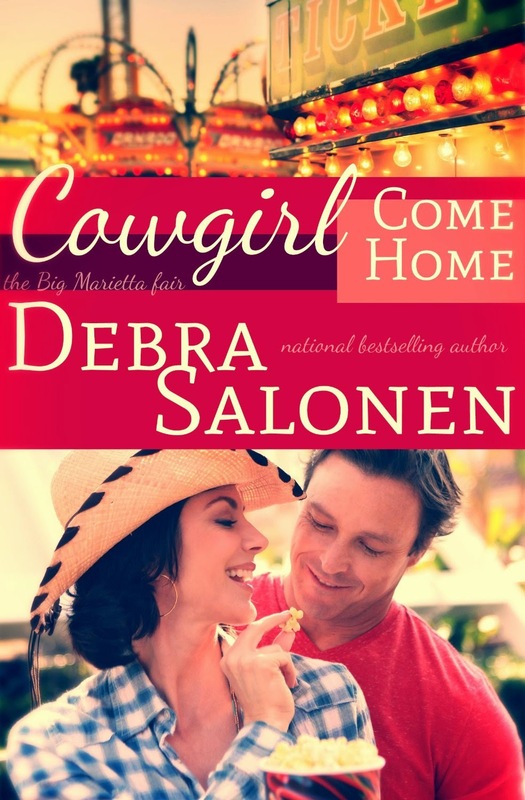 Cowgirl Come Home, her newest release for Tule Publishing, is a full-length novel set in Montana. Want to know when a Girlfriend's new book is coming out? Want to hear about our great give-aways? Subscribe to our email list and we will let you know! Happy Passover from the GBC! A Paperback Birthday means Prizes for you!